The Bible and Christian tradition have, at best, offered an ambiguous word in response to Earth's environmental difficulties. At worst, a complex, often one-sided history of interpretation has left the Bible's voice silent. Aiming to bridge these gaps, Richard Bauckham mines scripture and theology, discovering a firm command for Christians to care for all of God's creation and then discusses the generations of theologians who have sought to live out this biblical mandate. 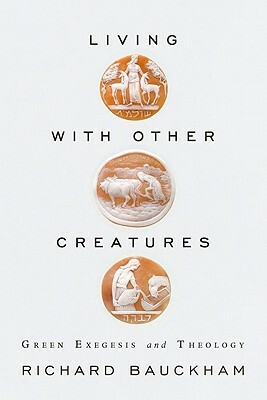 Going beyond Old Testament human dominion, Living with Other Creatures consults scripture in its entirety and includes Jesus' perspectives on creation, novel approaches to reading the gospels, and some of the most well known "ecologists" throughout Christian history. The result is an innovative and enriching treatise that reminds readers of God's whole creation--and humanity's place within it.